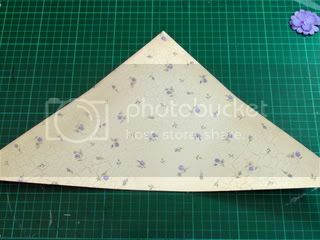 Take one of the lower corners of your triangle, and fold it over to the centre of the other side of the triangle (see picture). 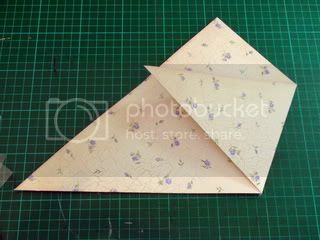 Take one layer of your top corner and fold down to create the pouch (see picture). Embellish as desired, and fill. 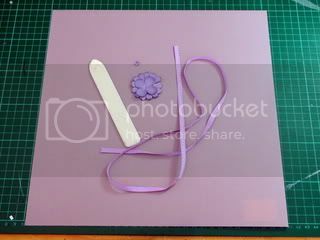 I have just shown mine with some Rubon packs, and kept mine very simple for the purposes of the tutorial. 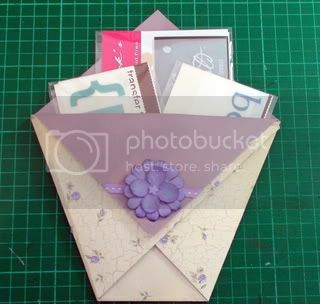 The nappy fold pouch could be used instead of cards on presents, and could easily (and very beautifully) hold things like gift cards, and lottery / scratch tickets. 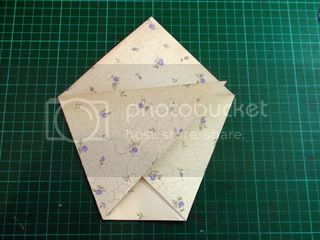 Puff it out a bit more, to hold chocolates or lollies…and so on.